“Individual Perspectives,” an exhibit of student photography done through an ArtReach s project led by Bill Curry, is on display in the lobby. 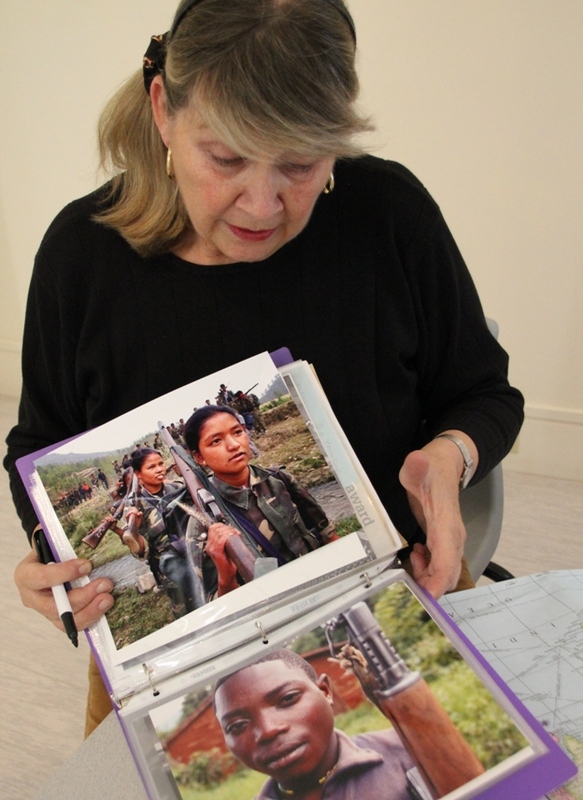 Creative Minds, Sunday January 26th, 2 p.m.
Join us for a presentation by Linda Marie Coakley about a thought-provoking exhibit in the Community Room titled The Plight of the Child Soldier—Innocence Lost. Linda Marie will take us behind the scenes of an ArtSmarts project with students from two schools in Yarmouth and Barton.